Is There Such a Thing as Catskills Lit? The Catskills of upstate New York are defined by desertion. Long gone is Lenapehoking—Land of the Lenape—and gone, too, is New Netherland. The train depots and churches converted into second houses—they are not homes—for rich residents of Manhattan and Brooklyn sit empty most the year. Rust Belt factories have been rebranded as small-batch Hudson Valley distilleries, or left to topple in, and the industry, hospitality, that defined the Catskills for the past century is in shambles. Even the eastern cougars that lend the region its name were long ago hunted to extinction. 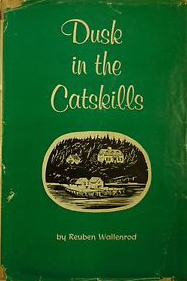 The literature of the Catskills—call it Cat lit—is where a sleepy fiction like Rip Van Winkle can coexist with the factual narrative of Isabella Baumfree, the Dutch-speaking freed slave who reinvented herself—the way tried-and-true Americans are so wont to do—as an abolitionist and suffragist named Sojourner Truth. If the Borscht Belt gave the region its most recent identity, fixed in the popular imagination by the movie Dirty Dancing, where nobody puts Baby in a corner—the defining feature of Cat lit is the way the characters’ lodgings become primary characters. Writing and researching my first novel, The Standard Grand, set at a tumbledown Borscht Belt resort become halfway house for homeless veterans, I trespassed through the remains of the old guesthouses: Grossinger’s, The Concord, Nevele. I also built a small mountain of informational and inspirational sources. The following list is limited to nine novels that helped to establish the Catskills as a setting worthy of lasting American literature. Reuben Wallenrod, a largely forgotten novelist and Hebraic scholar, bottles the early histories of countless Borscht Belt resorts: mom-and-pop chicken and dairy farms became informal boardinghouses. When the boarders, often friends and family up from the city, brought in more money than the dairy, the owners built bungalows and constructed stages in the barns. Dusk in the Catskills takes place at Hotel Brookville, which is owned and operated by Leo Halper and his wife, Lillian. Set over the course of a single season in 1943, the novel’s deep pathos comes from the reader’s awareness, along with Leo’s, that while those who patronize his struggling hotel are enjoying themselves, across the Atlantic, friends and family are sheltered rather less hospitably: “It was awesome and shamefully pleasant in the shelter.” Wallenrod lost his father, his sister, and her two children to the Holocaust. All these years later, the unanswerable posed by Dusk in the Catskills is still terribly pressing: How do we reconcile joy in the face of such horror? 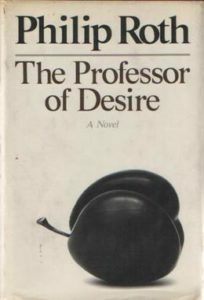 This, the most realist of Gardner novels, could also be considered his first; it originated as a collection of linked stories he began as an undergraduate. Henry Soames—overweight, middle-aged—owns the Stop-Off, a diner along the roadside leading up Nickel Mountain. It’s the post-war years in the Catskills, and Henry imagines he’s headed for a heart attack, a nervous breakdown, or both. When Callie, his teenage waitress, gets pregnant thanks to a young drifter, Henry marries her out of the patronizing goodness of his 1950s heart. 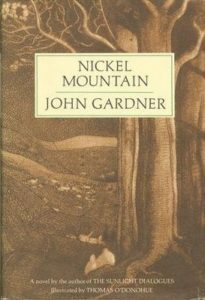 With a blurb from Toni Morrison—“No one tracks the emotional landscape of characters better than John Gardner”—and an intimate intro by frenemy William H. Gass (Gardner’s supposed “most vocal opponent”), Nickel Mountain is as gradual, and as painstakingly careful, as the last summer day of a long-ago season. Philip Roth’s tenth book concerns—big surprise—the selfish quandary of masculine desire. This Roth novel is more monologue than narrative, and nearer an insightful, if at times drab, lecture than a dramatic soliloquy. It follows literature professor David Kepesh, who grew up in a Borscht Belt resort called Kepesh’s Hungarian Royale. But the Borscht Belt culture—noted for both piety and promiscuity, depending upon the establishment—is most vividly embodied in the character Herbie Bratasky, master of ceremonies at the Hungarian Royale during Kepesh’s boyhood. 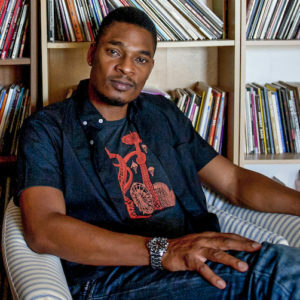 In a set piece at the end that reads like a bawdy Catskills standup skit brilliantly delivered, Kepesh dreams of Herbie paying a visit to Prague and the old woman who was once Franz Kafka’s favorite prostitute. Readers would be hard pressed to find a more precise portrait of the sexual abandon, in thrall to Freud, occasioned by the Catskills—not to mention more representative of Philip Roth’s fiction—than this sequence. 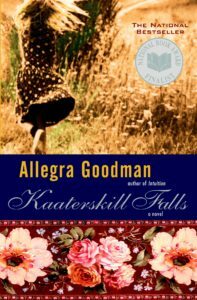 Opening in July of our nation’s bicentennial year, Kaaterskill Falls follows an Orthodox Jewish sect leaving Manhattan’s Washington Heights, as they do each summer, to schlep up to the old Dutch community of Kaaterskill. The novel cycles through a large cast of characters, and Goodman’s authorial perspective is both omniscient and magnificent. The point-of-view isn’t Torahic; it’s more measured, almost of the Hudson River School of landscape painting: panoramic, a bit distant and diminishing, but a glory nonetheless—perfectly fitting, given the immense scale of the surrounds. 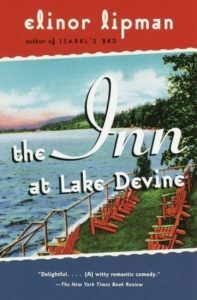 Named for a restricted and racist Vermont resort that catered strictly to genteel patrons, The Inn at Lake Devine renders the segregated 60s and 70s. But it’s the excessive Halseeyon in the Catskills that steals the show, where guests—Jews mostly, but not exclusively—enjoy ballroom dancing in the Red Sea Room. The protagonist Natalie Marx and the other characters manage to waltz straight through, not around, American anti-Semitism: “I hadn’t known up to that moment that I had a surname that was recognizably Jewish, or that people named Marx would be unwelcome somewhere in the United States because of it.” In the face of institutional racism, the novel maintains a strong and life-affirming sense of both romance and comedy, via Lipman’s singular, summery tone. 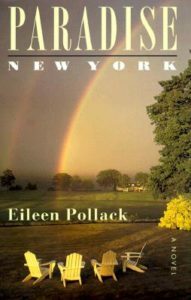 No American novelist has a greater claim on the Catskills that Eileen Pollack. Raised in Liberty, New York, Pollack’s grandparents ran a small hotel situated in the long shadow of the much larger Grossinger’s, the great-bubbe of Borscht Belt resorts. Paradise, New York, Pollack’s huge-hearted and philosophic first novel, follows 19-year-old Lucy Applebaum. As the 70s spin to a dizzying, desolate close, Applebaum drops out of college to take control of the Garden of Eden, a decaying guesthouse set in the fictional hamlet of Paradise. Thrown in among a diverse, stereotype-smashing cast of characters, Applebaum falls for Eden’s maintenance worker, Thomas Jefferson, an autodidact African-American man who translates the Talmud. While Eden, despite Applebaum’s best efforts, is all but lost, the hope is that she won’t be—and even if she is, she’ll ultimately be wiser, if unhappier, for it. 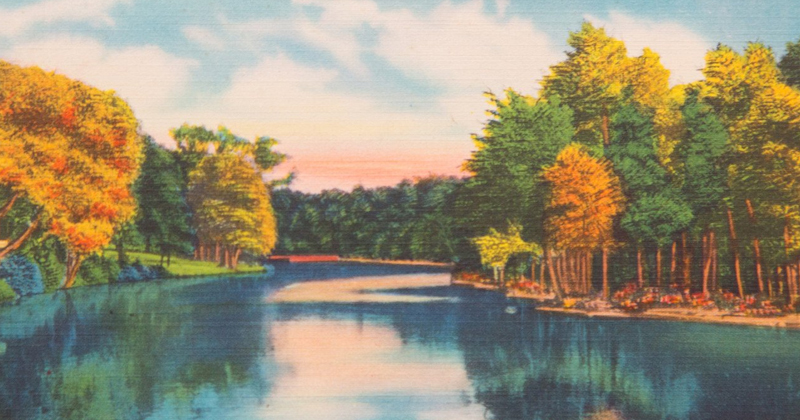 While most of the novels in this list eulogize the Catskills, Benedict’s novel offers a hard look not at what the Catskills were, but at what they’ve become: a troubled refuge, economically and culturally depressed, a hideout for outcasts. Set in the fictional village of Huntsville, somewhere south of Albany, Benedict’s novel strays far and wide with lupine freedom and force. Rin’s a battle-stressed single mother who served in Iraq, where her husband, also a soldier, was killed. She is raising a blind nine-year-old daughter, Juney, who’s a marvel of young poise, as well as three pet wolves. Benedict masterfully summons characters who don’t share her biography: she’s a civilian getting sympathetically, and accurately, inside the minds of soldiers; a Westerner intimately addressing the concerns of Middle Eastern refugees; someone with the vivid power of sight imagining the equally vivid experience of the sightless; an adult bringing child characters to life. 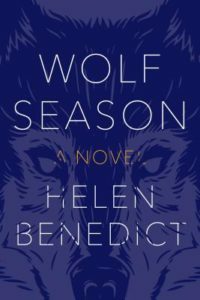 And Benedict writes so astoundingly about wolves, readers may worry she’s a werewolf. 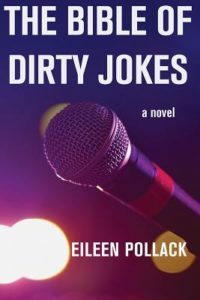 Pollack’s most recent novel, The Bible of Dirty Jokes, is something of a bookend to Paradise, New York; it revisits the Catskills in the company of Ketzel Weinrach, whose ambition to become a standup comic was dashed by the misogyny of the entertainment industry and the duplicity of her husband. Weinrach, like Lucy Applebaum, hails from a hotelier family. Hospitality House Hotel, “not the fake Tudor schmaltz or shabby stucco sprawl of most Borscht Belt resorts . . . all terrazzo, steel, and glass . . . with waterfalls in the lobby and balconies above the lake.” But the Hospitality House heyday is no more, and Weinrach’s parents are near to bankruptcy, holding out for the possibility that the pols in Albany will pick the site of their shuttered resort as the home of a new casino. 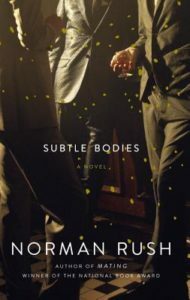 Stir in family ties to Murder Inc, the notorious Jewish mob, and you’ve got a roiling potboiler plot conveyed in artful, witty prose that captures the Catskills in all its wildly human convolutions. Jay Baron Nicorvo is the author of a novel set in the Catskills, The Standard Grand, picked for IndieBound’s Indie Next List, Library Journal's Debut Novels Great First Acts, named “New and Noteworthy” by Poets & Writers and a best book of the year by The Brooklyn Rail.